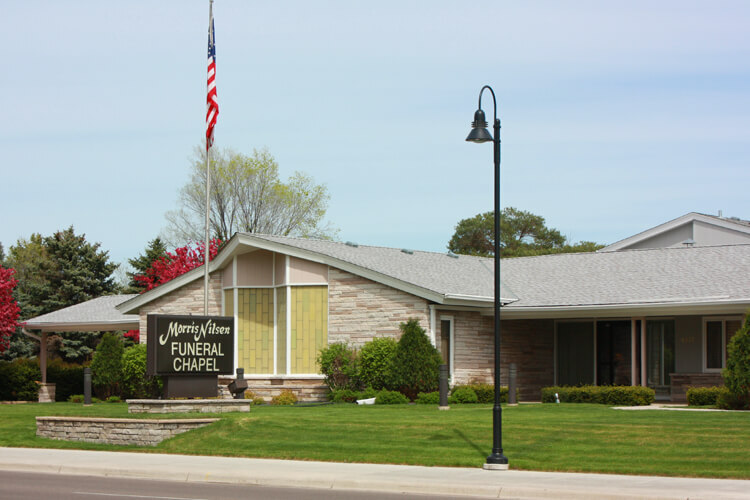 Our funeral home, located on Portland Avenue at 66th Street in Richfield, is just a short drive from anywhere in the Twin Cities. It takes less than 5 minutes to get to both Minneapolis St. Paul International Airport, and Fort Snelling National Cemetery. 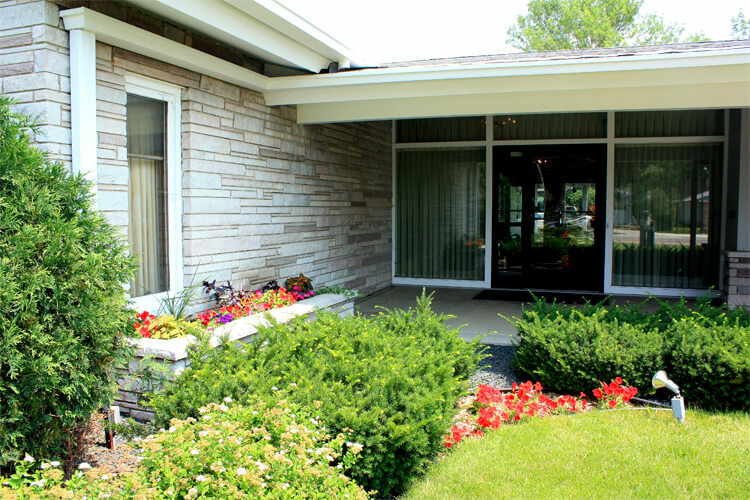 We take pride in our well manicured grounds. Our facility has abundant and well-lit off street parking. 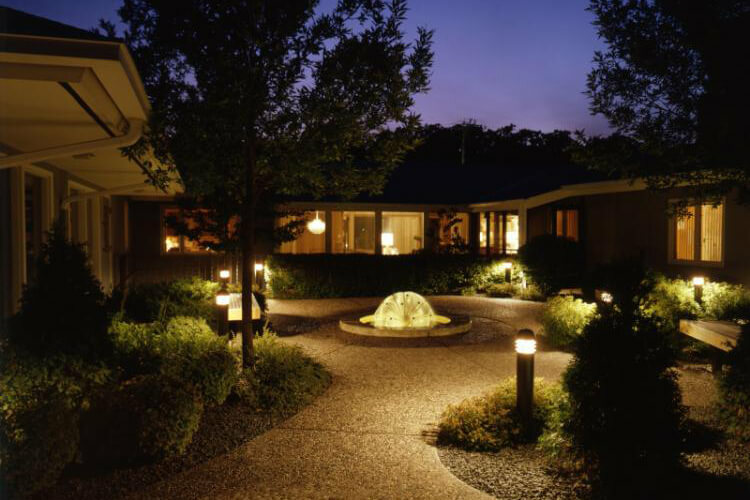 Families especially enjoy our serene courtyard, which features a beautiful water fountain flanked by benches and mature trees. 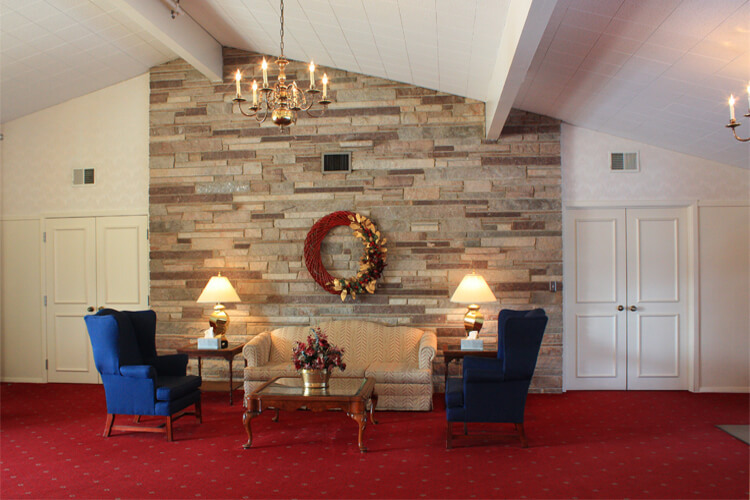 Our main, upper lobby is a central gathering place for family and friends attending services for a loved one. 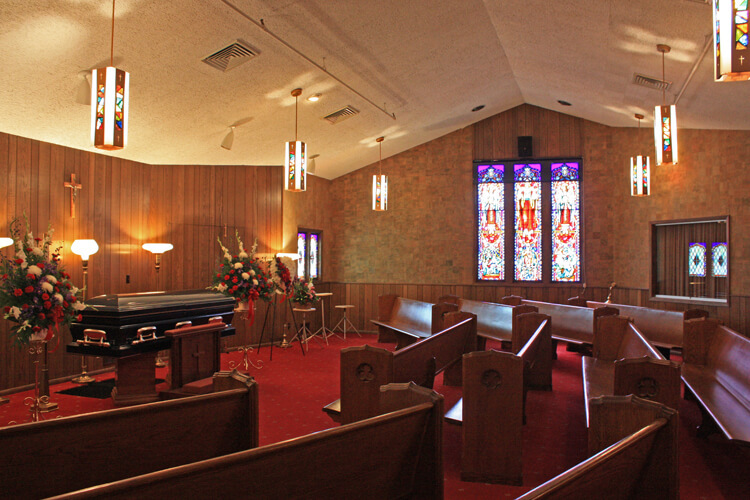 The South Chapel is warm and inviting; a beautiful place to have a visitation or funeral service. Reclaimed and restored church pews, real stained glass windows and light fixtures, and a pipe organ, create a traditional setting. The North Chapel is larger, and can be expanded if needed. 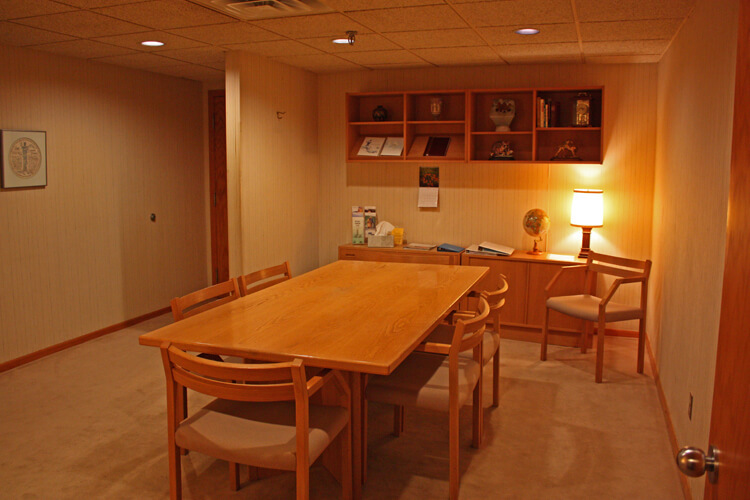 Adjacent to the lower level family lounge and selection areas are two rooms for arrangement conferences. 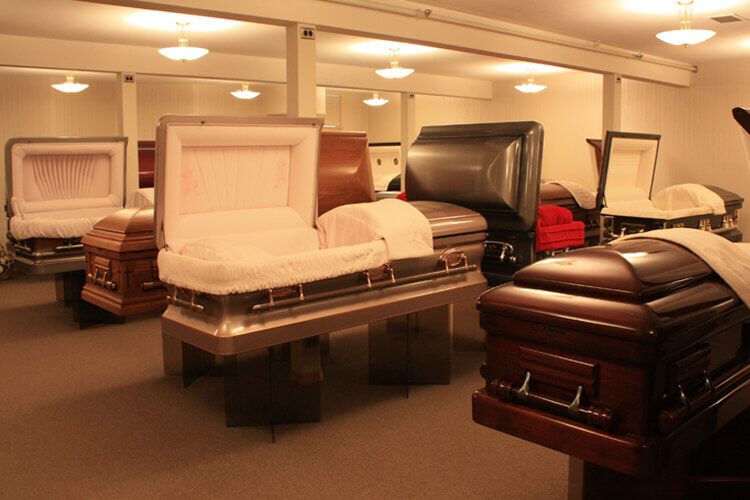 While some funeral homes have switched to a fully digital catalog, we maintain a large selection of burial caskets and vaults in our selection room. 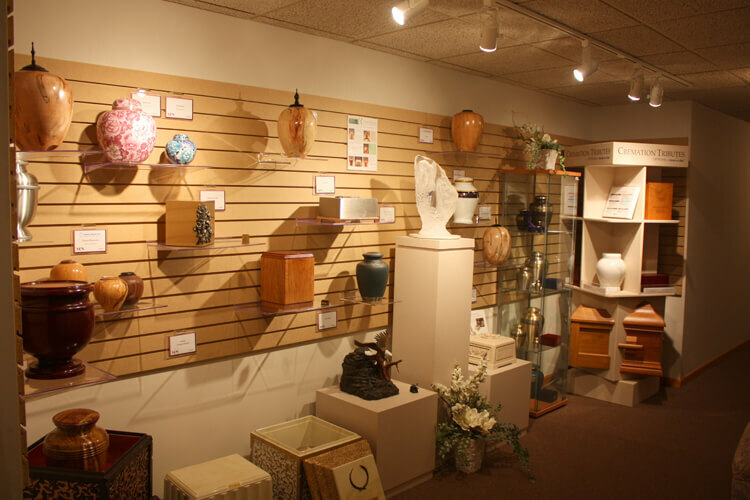 We also believe in keeping a wide variety of cremation urns in stock.